1. Create a mock monthly budget. Create a mock homeowner budget that includes monthly utilities, HOA fees, mortgage payment, property taxes and home insurance. It’s easy to overlook some of the essential costs associated with owning a home; being knowledgeable ahead of time will help you save. 2. Know your mortgage rate. Research a mortgage partner ahead of time and know your pre-approved interest rate before starting your search. 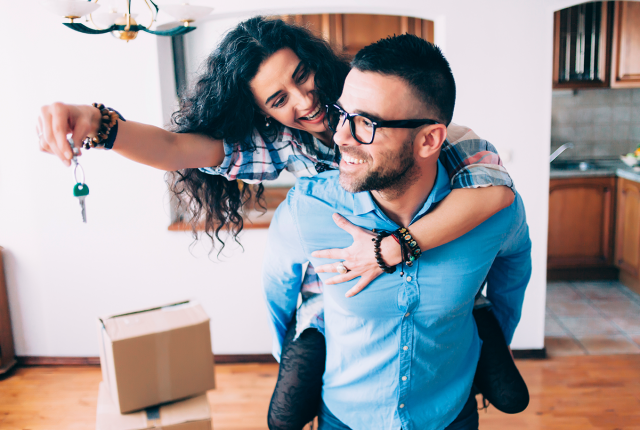 While it’s easy to love a dream home, it’s best to manage expectations and know how much you can really afford. 3. Check utility bills in your desired neighborhoods. Research the average monthly bills, and verify with providers (energy company, etc.) to make sure there are no unexpected surprises later. If you’re unsure where to start, use a “rule of thumb” estimator like this one. 4. Research nearby property numbers. That you’re paying an appropriate amount. That you’re buying in a desirable area. And it may give you an understanding of how much your home could be worth in the future. 5. Rank your must-have features. Circling back to the granite countertops and flashy backsplashes, make sure you learn which features bring bottom-line value to a home. Before you start shopping, create a checklist of items that are important to you and will add value to the home in the long run. Some things to consider are the quality of the school districts, nearby development and urban renewal efforts, property views and amount of land. Putting less than 20 percent down on your home can put you in a tough financial spot. When you borrow more than 80 percent of your home’s value, you typically have to pay private mortgage insurance (PMI) and are subject to higher interest rates. Higher rates lead to higher monthly payments and those numbers quickly add up. Point is, putting 20 percent down can save you a lot of money in the long haul. And we mean A LOT. 7. Find an excellent home inspector. The home inspection can be a make-or-break process for home buyers. Be careful about who you select to do your inspection and vet them thoroughly. Recommendations are always great but be cautious about broker-recommended inspectors. Use peer-reviewed sources like Angie’s List and Yelp to aid in the search. There is no perfect science to home buying, and it sometimes comes down to luck and timing. But having a plan of attack and getting educated about the factors involved can help improve your odds of finding a great home you can afford. With such a big investment, putting in a bit of extra work at the start can help you save a lot of time and money over the long run.